Two years ago, retired science teacher, Linda, sponsored 2 families in need for Christmas. Having taught for 14 years, she was very familiar with the struggles so many students face. She meticulously shopped for each child on her list, choosing items that she just knew they would love, gathering up items she knew they needed, and praying over them as she went. Little did she know the magnitude of blessings that would continue to flow as a result of her sincere generosity that Christmas. One of the children she sponsored was a sweet hearted 7-year-old little boy, Jake. Cancer had tragically taken his guardian away from him earlier that year. His grandmother had recently taken him in, but the added cost of school uniforms, school supplies and other expenses had taken a financial toll on their family. Jake’s Christmas looked a little bleak. After reaching out to the school counselor, grandma found a resource to provide Christmas for her sweet boy. 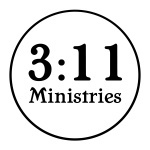 3:11 Ministries paired their family with a sponsor. Except, their story wasn’t over yet. Linda’s gift of Christmas left quite an imprint on that little boy’s heart, one he didn’t soon forget. Jake settled into his new routine; life had drastically improved for him & his family. He excelled in school and had gotten rather cozy in his new home. Jake had a plan. He wanted to earn some extra money, so his grandma offered him a chore list. He did his chores faithfully and without complaint, but that wasn’t enough for Jake- he needed more to bring his dream to fruition. At just 9 years old, Jake convinced his grandpa to teach him the trade of brick laying. Jake helped him throughout the summer while continuing with his chores at home. Soon it was Christmas time and Jake’s plan was finally all coming together. On a cold winter morning, Jake insisted that his grandma take him to Miss Cayce’s Christmas store, but not to purchase a Christmas tree or the fine home décor that Miss Cayce’s has to offer. Jake was there for a different reason. Miss Cayce’s was hosting a sponsorship event for 311 Ministries where donors could choose a family to bless for Christmas. Sweet little Jake was on a mission! Jake and his grandmother arrived and quickly found the sponsorship table. He told volunteers working the booth that he wanted to sponsor a little girl that was 9 years old. They sorted through hundreds of families and found one that was just right. She was 9 & she liked to color and draw, just like him! Before leaving, Jake revealed his story. He had once been a child on this list, but he was really lucky, and his circumstances had changed. He worked hard all year to earn money and wanted to bless another friend, the same way that someone had blessed him. As tears poured from the volunteers’ eyes, he quickly pulled a notecard out of his coat pocket to fan their eyes to help them stop spilling as they hugged him. Jake left Miss Cayce’s and started shopping for the little girl. Little did he know, that little girl’s story is so very similar to his. He chose gifts for her: toys, clothing, art supplies- really considering each item he’d chosen for purchase to ensure it would be exactly what she wanted. He and his grandma arrived on collection day to deliver the little girl’s gifts. He’d even baked cookies for his new volunteer friends that were working, but he had another surprise, too. In the few weeks since he’d visited Miss Cayce’s, he’d continued to save his allowance. He knew that $20 would provide a Christmas stocking filled with necessities for yet another child in need. He’d saved exactly $20. The gifts Linda provided was the beautiful beginning of even more giving. She gave a gift far bigger than just Christmas presents- she planted the seeds of inspiration and compassion within a little boy’s heart. Linda was a part of the village that this family needed, and in turn they were the village for others. So many children aren’t afforded the luxury of basic necessities, or the family members and neighbors that make up that “village.” That’s not the case for families in need here in west Texas. Because of you, our generous donors, 311 has been serving the needs of the underprivileged children enrolled in our community schools since 2013. Your gifts have taken us on a beautiful journey of serving thousands of children across west Texas, growing faster than we ever imagined. Today marks the beginning of a new journey for all of us- Today, March 11th, is the day that this blessed piece of ground has become our own. Today is the day that we so gratefully announce that this will be the future home of 311 Ministries, The Village. We need your help to build it. Your gift of $75 can help make this dream a reality.